Fountain Lace stitch pattern is a gorgeous knit pattern that resembles the water flow from fountains. Some would argue that it looks more like arches. Either way, the Fountain Lace stitch pattern is beautiful and elegant and would look great on almost any knitted project! 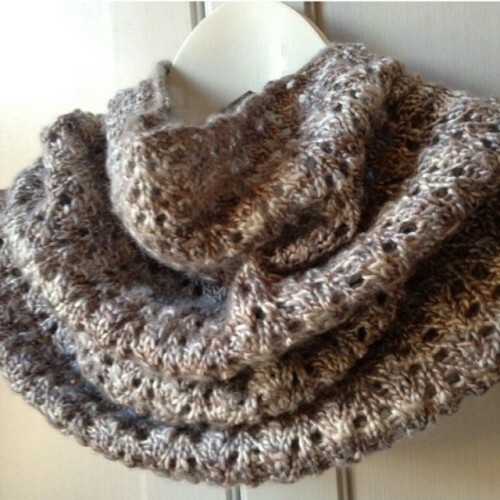 If you like this stitch, check out our free Simple Lace and Mohair Scarf pattern! Note: the scarf is knitted in the round. Row 1 (RS): K1, *yo, K3, yo, K1; rep from * to end. Row 3: K2, sl 1, K2tog, psso, *K3, sl 1, K2tog, psso; rep from * to last 2 sts, K2. 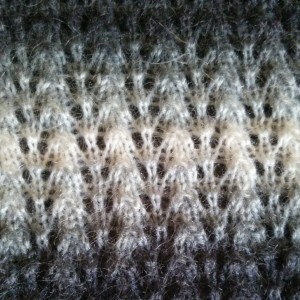 Simple Lace and Mohair Scarf by Ermy F.